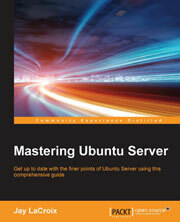 This book is intended for readers with intermediate or advanced-beginner skills with Linux, who would like to learn all about setting up servers with Ubuntu Server. This book assumes that the reader knows the basics of Linux, such as editing configuration files and running basic commands. This book is an advanced guide that will show readers how to administer, manage, and deploy Ubuntu server and will also provide expert-level knowledge on advanced security and backup techniques.